As President & CEO, Robert is responsible for strategic direction, growth and organizational foundation of the company. Robert oversees the continual improvement of Danforth’s sales, operations and execution of over $250 million in contracts. All company efforts promote the spirit of Danforth’s vision, mission and core values. Robert has nearly 30 years of mechanical industry experience including, but not limited to general contracting for mechanical systems, manufacturing and industry education. 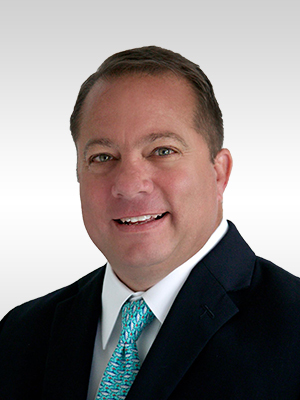 After graduating from the University of Florida, Robert began a career in the mechanical contracting industry as a District Sales Manager with Lochinvar Corporation in 1991. Robert started with Danforth in business development in 1993 and moved into project management in 1995 where he managed such clients as General Motors, West Valley Nuclear Development Corporation, Nabisco Foods, Kaleida Health and various New York State public sectors. In 2005, he was promoted to Vice President in charge of strategic direction and contract execution of project management. Robert became Executive Vice President in charge of company operations in 2010 and was promoted to President in 2015. Robert is on the PSIC Labor-Management committee for UA Local 22. He is a SMART Local 71 PH&W management trustee and a member of the Labor Negotiating committee. In addition, Robert is a current MCAA Board of Director’s member, and has been a member of the MCAA Project Management Education Committee since 2005. He is a facilitator and presenter on Managing Fabrication at MCAA Institute for Project Management as well as Operational Management at Advanced Institute for Project Management. Robert also volunteers his time to local community and charity organizations such as Kaleida Health Foundation Board, WNY Make-A-Wish Advisory Board as well as volunteering for his children’s various activities.